A significant amount of ink is being dedicated on both sides of the Canada-U.S. border to the trade conflict that President Donald Trump precipitated at the end of the G7 meetings in Charlevoix, Que. Trump wants a better trade footing for the United States, pointing out that tariffs of around 270 per cent are slapped on American dairy goods entering Canada. The principle of freer trade matters to Trump and he has decided to go full tilt to defend it by upending the principle with more tariffs. Lost in the hyperbolic reaction from Washington this week is the fact that Trump’s protectionism is not all that different from Canada’s. The conditions of the current dispute are similar to a trade conflict in the 1860s between Canada and the United States, just before Canada was created. 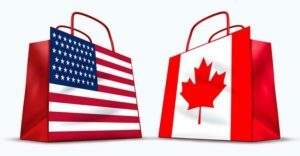 The American protectionist backlash against Canada at the time was sparked by Canada’s protective Cayley–Galt Tariff of 1858, which imposed a 20 per cent tariff on manufactured goods and 10 per cent on partially manufactured goods coming into the country. Canada’s industrial base needed sheltering, we argued. Interestingly, the desire to create a nation out of British North American colonies was in part fuelled as this trade conflict with the United States heightened around 1865. At the time, our neighbour was swept by a protectionist wind similar to today’s and internal political pressures led to the abrogation of the Reciprocity Treaty in 1866. The treaty had been in place since 1854 between the United States and the Province of Canada, Nova Scotia, New Brunswick, Prince Edward Island and the Colony of Newfoundland. The treaty removed tariffs on natural resources crossing the border and our exports to the United States soon doubled. It sparked a boom for Nova Scotia’s coal, for example. Canada and the United States would then have to wait well over a century to work out a free trade agreement between our two countries. Now, instead of protecting the industrial base of Montreal in the 1800s, today’s supply management system protects Canada’s large agricultural dairy base. Supply management is protectionism by a different name and that should be the centre of our attention. Canadian dairy quotas not only exclude Americans, they also exclude other Canadians and hurt consumers. Our own protectionism (supply management and all other forms of interprovincial obstacles to commerce within Canada) costs the Canadian economy up to $130 billion every year. Supply management and interprovincial restrictions are both problematic on the grounds that they restrict trade. This very large cost should be the main subject of our trade conversation in Canada, perhaps more so than trade with Europe ($30 billion) or China ($2.65 billion). It’s not that diversifying our economic fortunes when it comes to trade and exports is a bad idea, nor that greater trade with Europe and China is a bad thing. But if international trade is so important because of the economic benefits that it brings, we ought to have a very hard look at how we willingly, inside our own country, walk away from jobs and economic activity worth $130 billion. I’m not suggesting that the North American Free Trade Agreement (NAFTA) should be left to die or that its renewal isn’t worth the effort. But we should also develop as much anxiety, and care to relieve it, about the myriad rules and regulations, barriers and obstacles that prevent us from realizing fully developed trade within Canada. It is, after all, the dream at the heart of the creation of the Dominion of Canada. In May, the Supreme Court of Canada indirectly but wrongly upheld the network of barriers that protect narrow interests in Canadian provinces at the expense of the principle of freer trade within our country and at the expense of consumers. Now the trade conflict sparked by Trump should remind us that an important field of trade within our country is not being actualized, very much in contradiction to the spirit that animated the creation of Canada. It’s high time that an equal if not a greater effort from our governments be made to fulfil this unrealized promise for Canada. We are one country and we should be one unobstructed market.